One of my favorite things to do is to fish the beach. Nothing like having soft sand on your bare feet and watching the migration unfold before your eyes. 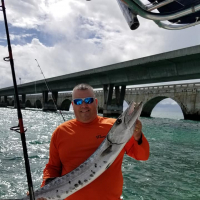 I think we all started out fishing from land, piers, beaches, etc so it is extra special when you are so dialed in that you can time the bite and make it happen for others. I started out by waiting patiently for the bait to appear amongst the weed. In about 20 minute I could see them coming South fast. Using a 1/4 inch mesh net, I made quick work of enough pilchards to fish the entire evening for 2 of us. The kids had a blast looking at the bait in the bucket. It wasn't long before the blue runners showed up giving us enough action to wow the kids. 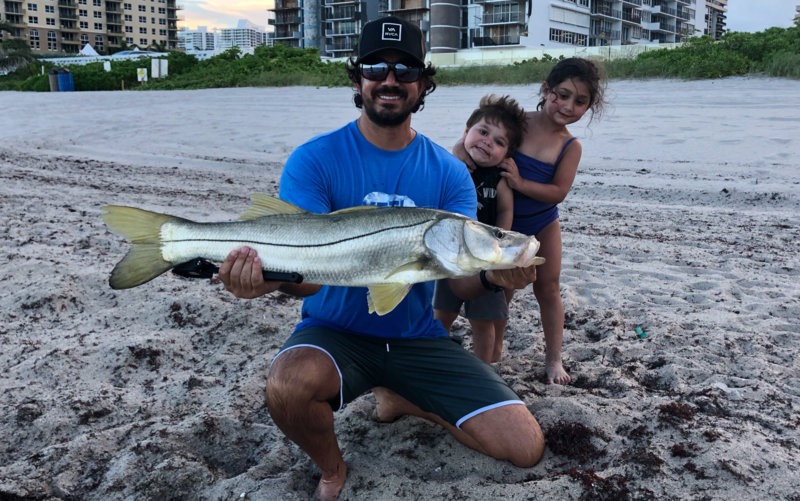 But shortly after, the snook showed up and it was on. One after another. You know that knock feeling and then drag ripping off the Van Stall. I love it! As we wait for the mullet run, something tells me this is going to be an epic year. thanks for the reply I usually go down to Dania but it is now too crowded. Miss the old days. Beautiful Snook........how are you keeping your Pilchards alive? what kind of bait bucket in the surf? I am using a standard 5 gallon bucket with a bubbler. You can keep a few dozen alive pretty easily. I'll swap the water as well every now and then. The pilchards are rather small, so you can pack them and they are fine. Nice catch. Tha is for the report.